The Iris Splendid Toni Sailer ski jacket really draws attention. This is thanks to the shiny pearl material on the upper body which sparkles and shimmers in the sun and shimmers elegantly in poorer visibility. The outstanding functional properties truly stand out when skiing - such as the reliable warmth provided by Thermolite® (60 g) and hand-filled high-loft fibre balls. 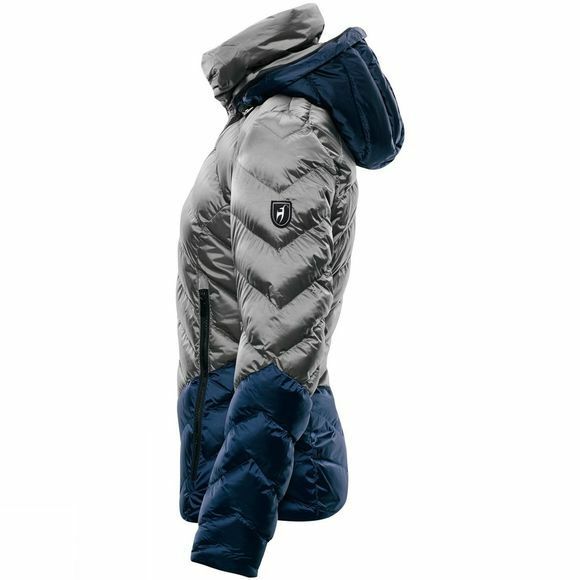 The 10,000 mm water column prevents moisture penetration and the jacket's high breathability ensures excellent comfort even in the most challenging downhill runs. 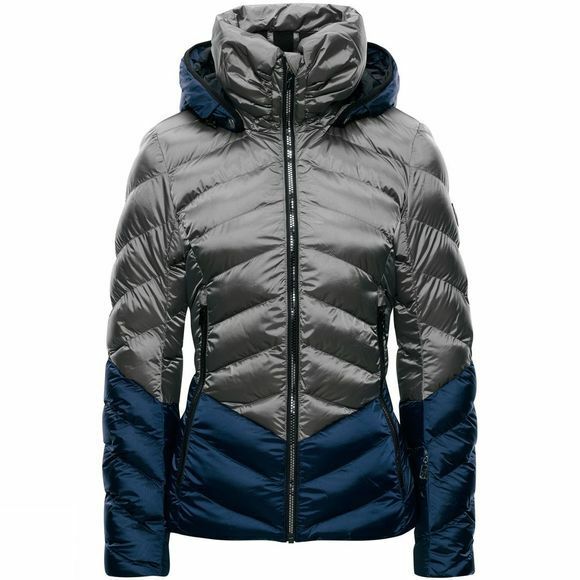 It almost seems as if the YKK zippers with their shiny, mirror-like finish* were designed specifically for the Iris Splendid women's ski jacket.